Bernadette is a frightfully intelligent wife and mother whose intense allergy to Seattle specifically, and to people in general, has driven her to hire a virtual assistant in India to execute even her most basic tasks. Then her daughter, Bee, insists on a family trip to Antarctica as her reward for getting perfect grades in middle school, and Bernadette is faced with the daunting prospect of actual human interaction. The timing could not be worse. Worn down by years of dealing with Seattle's polite drivers, overzealous moms, and proximity to Idaho (and don't even get her started on Canada), Bernadette is already on the brink of a breakdown. Throw in a feud with her neighbor over Bernadette's rampant blackberry bushes, the scandal that erupts when she runs over another mother's foot at the school's drop-off, and a class fundraiser that goes disastrously awry-and it is all too much. Bernadette vanishes, leaving her Microsoft-guru husband, a horde of angry parents, and questioning police officers to pick up the pieces. Desperate to find her mother, Bee probes her emails, invoices, school memos, private correspondence, and other evidence, conjuring out of those shards a portrait of a woman she never knew before-and a secret that could explain everything. 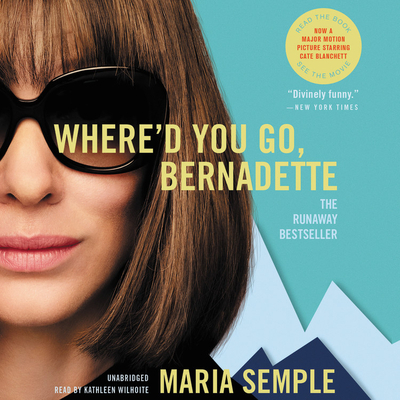 Where'd You Go, Bernadette is an ingenious and unabashedly entertaining novel about a family coming to terms with who they are. It is also a riotous satire of privilege and an unsentimental but powerful story of a daughter's unflinching love for her imperfect mother.